Real time image generation and image understanding require levels of computing power, that are beyond that available from conventional sequential machines. 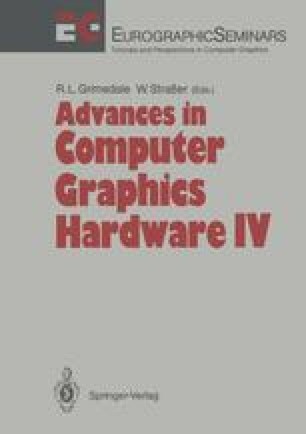 Current commercially available systems aimed at this area make use of special purpose hardware to achieve the necessary throughput, but these systems can only achieve their performance for a restricted set of algorithms that are implemented in the hardware. A programmable general purpose parallel machine offers the possibility to achieve the required performance without restricting the choice of algorithm.